These people are mountain of music. … One of the best sounds, one of the most beautiful musics of the world … such a beautifull!!…. One of my most prized CD’s is music by Ustad Sultan Khan. He is a gift to all of mankind. I am a non-Indian but sincerely love the wonderful unique sound of one of the greatest instruments invented by mankind, the Sarangi. 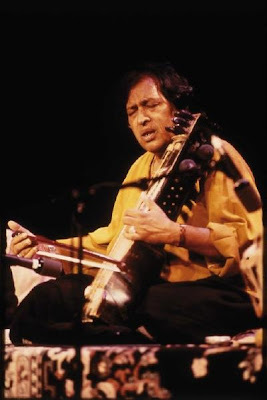 I have a disk of the late Ustad Sultan Khan and have listened to it countless hours. It soothes the soul. Tabla sangat was too good.